On January 24, 2018, Reviver Records hosted an EP event for one of their up-and-coming artists Kayla Adams. 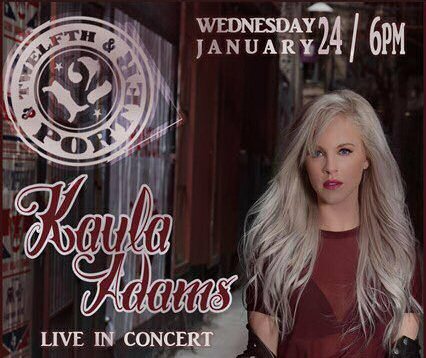 The showcase was held at the legendary 12th and Porter in Nashville, Tennessee where Kayla presented a set of covers and originals from her new EP Bad Decisions. Kayla Adams makes Bad Decisions in Nashville. Kayla is an attractive, agile artist with a strong stage presence. She opened with “Sorry” from Bad Decisions. 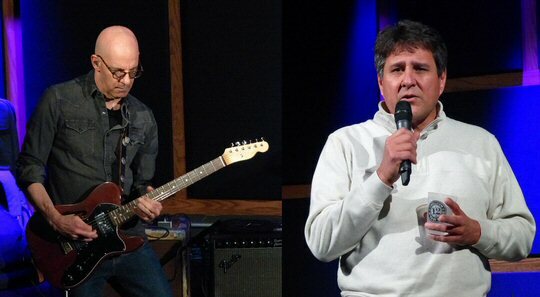 The song rocked as did Adams’ entire set which paid tribute to a number of other empowering women. “I Hate Myself for Loving You” (Joan Jett) was potent as was Kayla’s version of “Here For The Party” (Gretchen Wilson). “Good” was catchy with crafty lyrics reflecting on a relationship that was not really that good. “Mind Games” along with the title track were relatable rockers that allowed Adams and her talented team (which on Wednesday night included Kenny Greenberg) to strut their stuff. Kayla Adams has attracted notice. 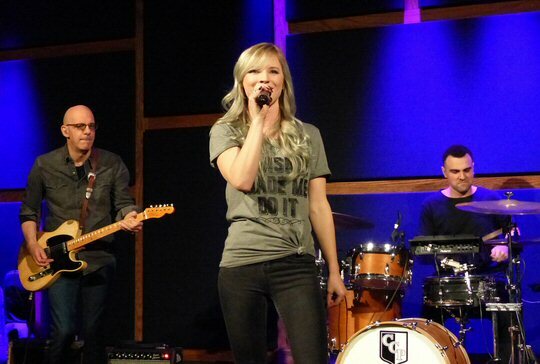 Her four-song EP Bad Decisions (Reviver Records) was produced by Kenny Greenberg who at 21 moved to Nashville where he established himself as a top-tier player and producer. Kenny has worked with an impressive list of artists including Taylor Swift, Brooks & Dunn, Gretchen Wilson, Willie Nelson, Kenny Chesney, Wynona Judd, Lee Ann Womack, Toby Keith, Sugarland, Tricia Yearwood, Montgomery Gentry, and Faith Hill. His guitar work has been featured on projects with Bob Seger, Amy Grant, Etta James, Mandy Moore, Jewel, Indigo Girls and Peter Cetera. Having Mr. Greenberg in your camp says a lot, as is having Reviver Records release your EP. Reviver Records has offices in Nashville, New Jersey, Phoenix, Pennsylvania, and Idaho. It is the label for a number of hit makers such as LOCASH and Michael Tyler along with rising stars including Kayla Adams, Blackjack Billy, and the legendary Rock and Roll Hall of Famer (2009) Little Anthony. Kayla Adams at 12 & Porter in the Gulch District of Music City. Reviver Entertainment Group President and CEO David Ross remarks, “Kayla’s work ethic and her songwriting are unparalleled and I am excited for everyone to see what we have been experiencing for the last 16 months as we prepare to introduce Kayla Adams to the world.” Adams states “my vision is to bring who I am to the world. To empower girls who feel like all boys do is take advantage of them. To remind them that they are queens & that they deserve better. I want women to recognize their worth and demand that men respect that. I have spent my entire life watching women compromise themselves in a way that doesn’t make them happy. I don’t want my songs to encourage that. I want to sing about the real things I feel & see others feel”. More reflections from Kayla “I could start this with, “I’m Montana born and raised,” but I think it’s more important for you to know where I’m going, than where I have been. Musically, I’ve always been drawn to the songs that touch my emotions. The sad ones… the angry ones… the ones that make me feel… that tell me I’m alive. The happy go lucky stuff with big happy endings has always felt a little fake and un-relatable. Life is just not that way. The best lessons are learned when you reach for something or someone beyond your grasp. Reaching for what might be unattainable at that time, causes growing pains and growth both as a person and as an artist”. Opening in 1984, 12th & Porter has hosted some of the biggest names in the business ranging from Neil Young, Run-DMC and Vince Gill. The venue has also served as the proving grounds for the likes of Keith Urban, thus it is an ideal location to launch an EP event. 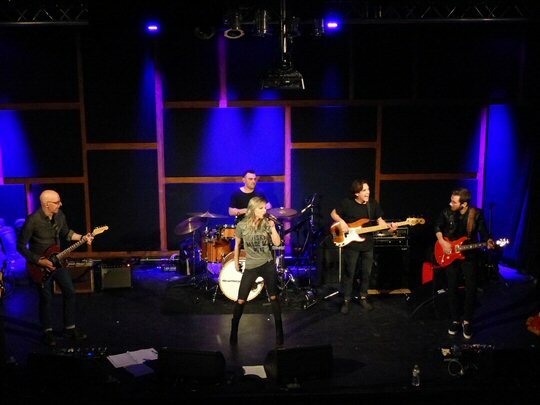 In February of 2015, 12th & Porter underwent extensive structural renovations to further improve the sound, production, and overall concert experience for fans and artists of all genres and perhaps Kayla Adams will join the ranks of successful musicians who have performed at 12th & Porter. Kenny Greenburg and Gator Michaels add star power to Wednesday night showcase.